The Commission shall review and approve regulations, standards, and guidelines to be developed by the authority to implement its emergency medical services responsibilities. The Commission shall advise the Authority on the development of an emergency medical data collection system. The Commission shall advise the Director concerning the assessment of emergency facilities and services. The Commission shall advise the Director with regard to communications, medical equipment, training personnel, facilities and other components of an emergency medical services system. Based upon evaluations of the EMS systems in the state and their coordination, the Commission shall make recommendations for further development and future directions of emergency medical services in the State. The Commission shall review and comment upon the emergency medical services portion of the State Health Facilities and Service Plan developed pursuant to Section 437.7. 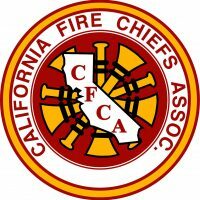 CalChiefs representative on the commission is shown below. Select the following link to see all the EMS Commission members http://www.emsa.ca.gov/commission_on_ems_membership. San Bernardino County Fire Dept.